Combining unique style with the ultimate protection, your customized hard glasses case is made with 2 years quality guaranteed. Printed with your unique designs all over, as well as the option to print the microfiber cleaning cloth, you have a totally bespoke custom glasses case that evokes premium quality. Your glasses are an important part of your life, so give them the best, and most stylish, protection and design your own custom glasses case. They're an expertly made accessory, permanently printed and hand assembled. The shatterproof plastic ensures your glasses are safe from scuffs and scratches, whilst simultaneously producing a bold, vibrant, glossy print. The click and close snap action lid is super secure, and the interior felt lining provides extra cushioning for your glasses. Notice a few specs of dust on your lenses? Not to worry, as this customized hard case comes with a microfiber cleaning cloth. Leave it plain white for neutral look or design a matching cloth for your case. 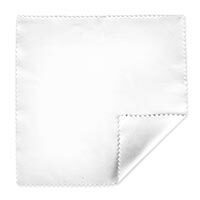 7.08" x 2.75" x 1.57"
You can leave the microfiber cleaning cloth plain white, or design it yourself for a matching combination. You get to design both the top and bottom of the case, so it's printed all over for maximum impact. We use specialist techniques that fuse the ink deep into the fibers of the shatterproof plastic creating a permanent print that won't fade, peel away or scratch off. The top and bottom are printed individually and hand assembled, so they can have a different design, if you wish. A molded felt lining is inserted, leaving a small purposeful gap between the lining and case, designed to stop the lining from being too tight and breaking when the case is snapped open and shut. Your shatterproof plastic hard glasses case can easily be wiped clean with a cloth, should it get dirty. We don't advise using the microfiber cloth however, as this is designed specifically for your glasses and should be kept as clean as possible. Please be aware that your designs are wrapped around the curved sides of the case, so any design features placed near the edges may be slightly warped. To combat this, we suggest placing important details or text away from the edges. Logos will work best is positioned in the center and in full view. With every case comes a microfiber cleaning cloth, which can be left plain white or printed with your unique designs. It's cut to size and features the classic serrated edges. If you're a household of glasses wearers, then this is the perfect way to distinguish yourselves from one another. Design your case to feature prints that resemble your wardrobe and coordinate your outfit and accessories. You could also print unique designs for your children, so there's no mix ups in the classroom at school. Design a range of hard glasses cases for your opticians practice. When customers spend over a certain amount, you can present their new specs in a beautifully printed custom glasses case, featuring your branding and logo. This is a great way to encourage people to come back to your store and maybe even tell their friends. Glasses are a big part of people's lives, so they need a protective case that is going to ensure they're safe but also reflect show a bit of individuality. Design your own collection of made in the hard glasses cases for your customers to enjoy. They can be themed and categorized to appeal to people's different tastes in style. Is a cleaning cloth included? Yes, a microfiber cleaning cloth is included so you can keep your glasses smudge free at all times. The cloth can be left plain, or printed with the same or different design as your case. We use a super strong shatterproof plastic to guarantee the best protection for your glasses. Kept in your pocket or bag, your custom glasses case shields your specs from scuffs and scratches. You get to design the top and bottom of your made hard glasses case, for an all over print. 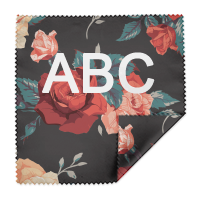 There's also the option to print the same or different design onto the microfiber cleaning cloth. Browse the hard glasses case collection, designed by our #ContradoCreative artists. Printed all over with their original artwork, these cases are a trendy addition to your handbag or briefcase. They come with a microfiber cleaning cloth too, so your vision is always rosy. Hard Glasses Case "Marbled Ice"
Hard Glasses Case "Clouds in Aspic"
Hard Glasses Case "superficiem aqua"